Smart screen rotation using front facing camera. Smart keeping screen on using front facing camera. 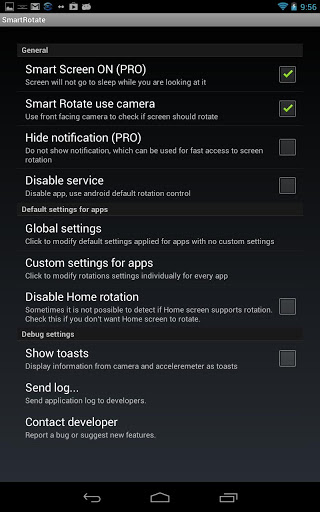 First application detect device rotation using accelerometer, then it uses front facing camera to confirm device rotation and decides to rotate screen or not to rotate depending on your face orientation. - Use front facing camera to evaluate your face position and decide if device screen needs to be rotated. 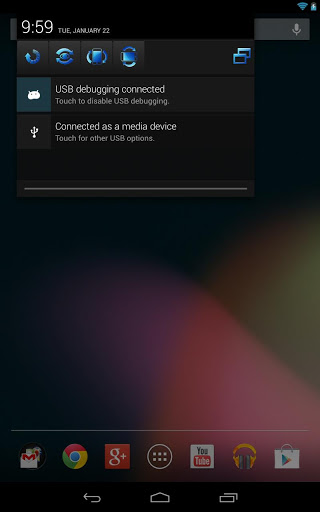 - Automatically keep screen turned on while you are looking at it (Full version only). 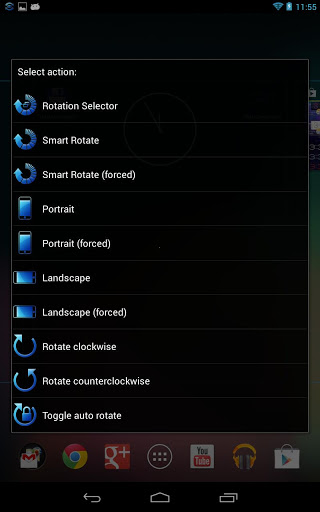 - Lock rotation in landscape or portrait. 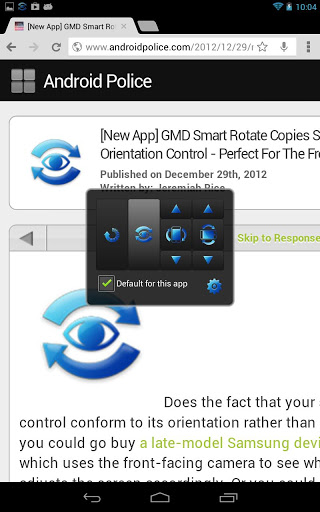 - Force rotate applications that does not allow rotation by default. - Set per application rotation preferences (Full version only). 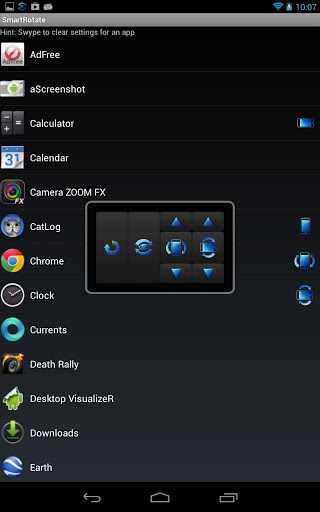 - Rotation preferences widget and launcher shortcuts. - Integrates with GMD GestureControl and GMD SPen Control using shortcuts.